WESTMINSTER, Colorado — Colorado Sound Recording Studios is one of the finest facilities in the state. The studio and its remote truck have recorded artists including Norah Jones, Eminem, Steve Miller, Dave Matthews and many others. Recently, the HARMAN Soundcraft Studer truck rolled into Colorado Sound with the new Studer Compact Remote Bay and its latest Virtual Vista software for its first-ever use at a recording session. The Compact Remote Bay allows access to a Studer Vista digital mixing console’s settings from anywhere in a venue. A little larger than a laptop, the unit has 12 P&G faders, 40 rotary controls and a 19-inch touchscreen running Studer’s Virtual Vista software. In addition to remote operation, the bay may be used to extend the main console’s control surface for a second operator, for monitor mixing or for other functions. Three stereo headphone mixes, a 5.1 surround and a stereo control room mix were created, all going to the Vista 9 and the Compact Remote Bay with a Studer Stagebox connecting the recording studio feed to the truck via fiber cable. Photo Caption 1: The Studer Compact Remote Bay in action. Photo Caption 2: HARMAN’s Paul Shorter with the Compact Remote Bay. 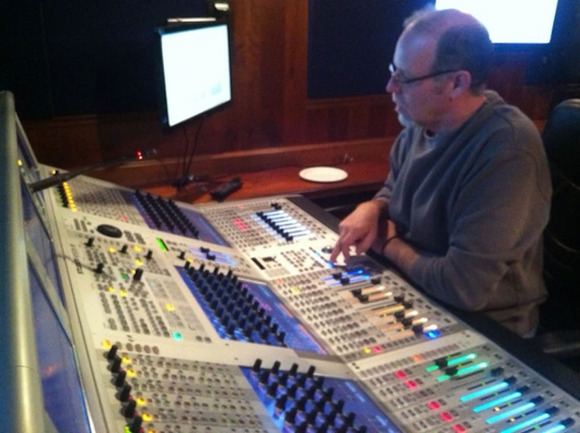 Photo Caption 3: Colorado Sound owner Kevin Clock working on the Studer Vista 9 digital console.